If you’ve never heard about the kindness of folks involved in land speed racing, at Bonneville Salt Flats or at El Mirage, let me reiterate. You’re bound to meet some of the greatest people on the planet. 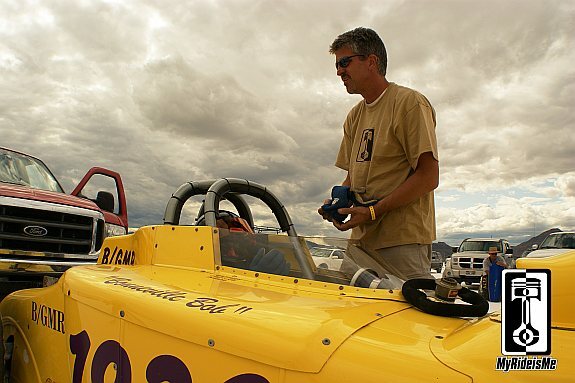 I met “Bonnieville Bob” and his son Rocky on my first trip to Bonneville in 2009. Bob’s been racing long enough to, literally, know everyone out on the salt. Like you’d expect, Bob and Rocky introduced me to everyone and now, years later, I owe most of my friendships on the salt to these guys. 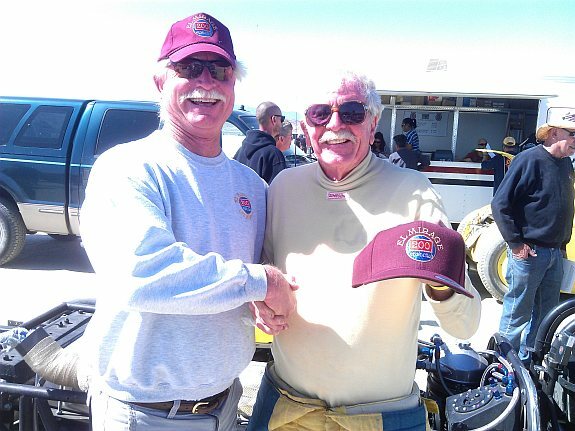 Well, after years of trying, Bob and Rocky have their 200 mph hats from El Mirage with sites locked on Bonneville in August for Speed Week. Rocky and Dan Warner. Dan's congratulating us and giving us our hats. We got there on Friday and went through tech without any problems. 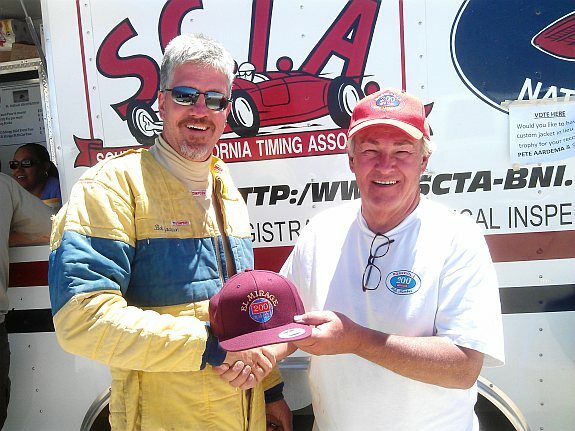 Saturday morning, my dad made a run and the car ran 220.576 mph! He didn’t even know he ran that fast since he couldn’t see the gauges and drove by the seat of his pants. I ran Sunday after we pulled our duty and I ran a 219.843 ph, then I made a second pass and ran a 222.167. The car ran really well and has a lot more in it , the 222.167 mph is a soft record. Can’t wait to see what they can do in Bonneville! Congratulations guys!! Congratulations Rock and Bob! I need some new pics of your car! I heard it’s getting painted, so we’ll wait until I see you on the salt!